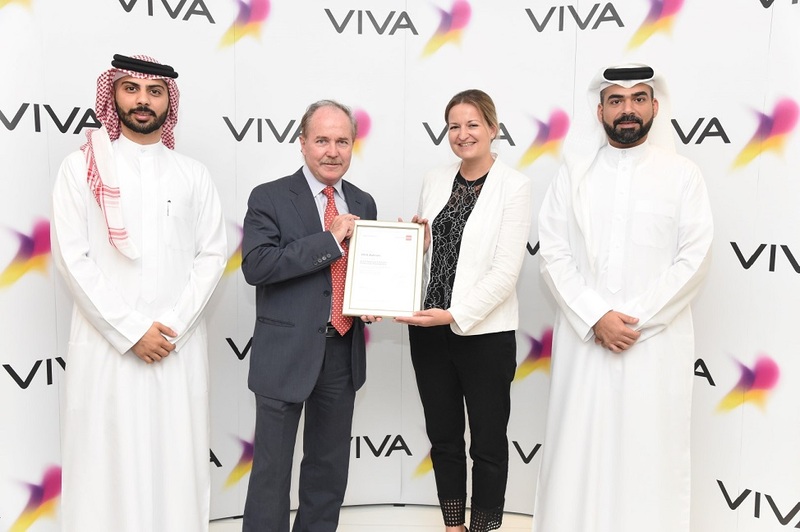 VIVA Bahrain has become the first telecom operator in Bahrain to be awarded the status of Approved Employer by the Association of Chartered Certified Accountants (ACCA). Achieving this international milestone, this acknowledgment recognises VIVA Bahrain’s high-quality professional training and development program for their Accounting and Finance staff. This recognition is an endorsement of VIVA Bahrain’s high-quality human capital development policy and the ongoing learning and personal development program it has put in place for all their personnel. In order to achieve the ACCA Employer status, organisations need to adhere to ACCA’s best practices across various areas including work experience, supervision, training and continual development. “This recognition is not only a milestone achievement for us, but it’s for Bahrain as well. It positions us in the lead to attract the best talent from the industry and ensures our employees are provided with the right learning and development environment, enabling them to effectively respond to the changing industry dynamics,” said Mr. Ulaiyan Al Wetaid, Chief Executive Officer at VIVA Bahrain. Human Capital Development is a key component of VIVA’s corporate growth strategy. With more than 9000 hours of learning and development hours delivered every year, this certification recognizes VIVA’s efforts in investing in people development and growth that translates into company’s development and growth. The ACCA Approved Employer status is awarded to leading organisations that offer outstanding continuing professional development opportunities to their finance professionals and that demonstrate superior professional values, ethics and governance at the workplace. The programme recognises employers’ high standards of staff training, accountancy resources and development for their ACCA members. For more information, please visit our website www.viva.com.bh.